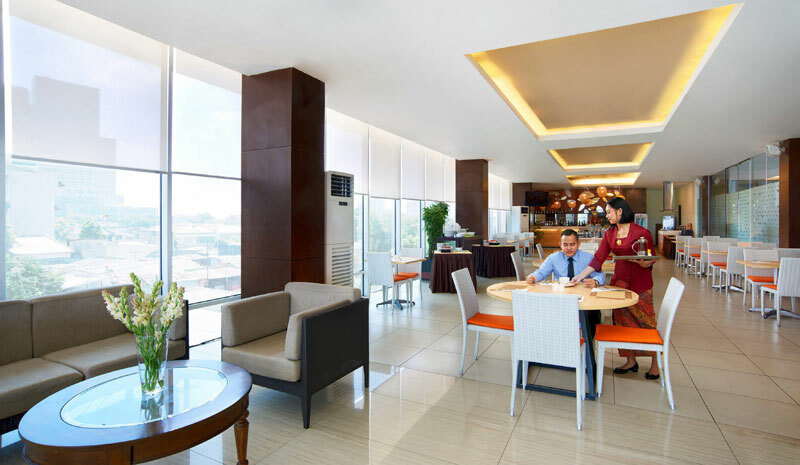 he Long Iram Resto at Cipta Hotel Pancoran is the perfect place to relax or do business. The Cafe is open 7 days a week for breakfast lunch and dinner. Our menu offers a wide range of delectable treats for you to enjoy. We serve delicious food at reasonable prices whenever you want. In a relaxed informal and friendly environment we serve classic dishes to satisfy all tastes at any time of day or night. Whether you're hungry for breakfast brunch lunch afternoon tea dinner a late night snack or just want to chill out with your laptop we will always give you a warm welcome. To enhance your dining experience you are able to charge any meals and drinks back to your room account at The Cipta Hotel Pancoran so take full advantage and enjoy!